作者: The AsiaN Editor on 25 June , 2018. With a writer residency scheduled in August 2018 at the Sierra Neveda College, U.S.A., Sonnet Mondal looks forward to promote his book ‘Karmic Chanting’ to be released soon from Copper Coin publishers, New Delhi. 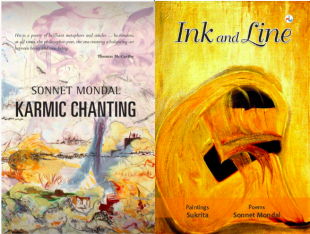 The book is a collection of mystical poems penned by Mondal over a period of five years and contains endorsements from Brian Turner, Thomas McCarthy, Meena Alexander, K Satchidanandan and Elena Karina Byrne. 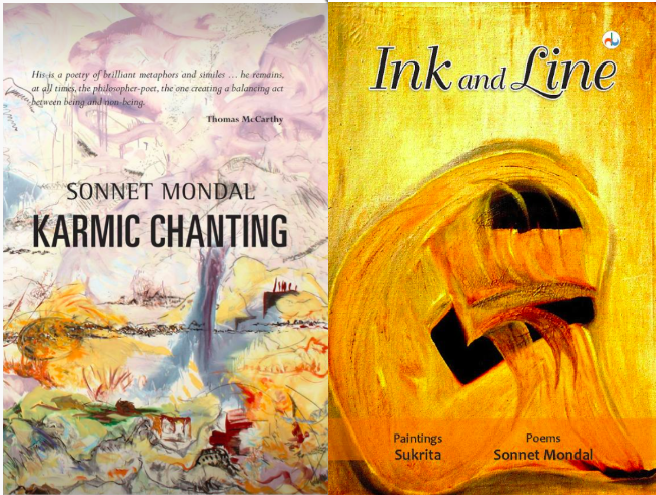 This month will also see the launch of a revised edition of Sonnet’s ekphrastic collection ‘Ink and Line’ penned with Sukrita Paul Kumar. The book which is a unique collection of poems and paintings will be released from Dhauli books. In the residency at USA, Sonnet’s solo photography exhibition will also be held within the college premises along with readings from his books. Recently Mondal read at the 19th Berlin International Poetry Festival and also participated in the annual meeting of partners as one of the international coordinators for the Lyrikline Poetry network. Notable guests in this year’s festival were Charles Bernstein, Robert Forster, Ketty Nivyabandi, Jorge Kanese and Yoko Tawada among others. Earlier this year, the poet had a series of events at the Fairway Galle Literary Festival, Sri Lanka, Kala Ghoda Arts Festival and TISS literary festival, Mumbai. Last month Mondal’s acclaimed publication The Enchanting Verses Literary Review released a Dutch Special edition edited by David Colmer which was made possible through the support from the Dutch Foundation for Literature.